Izola, its name is associated with the Italian word ” isola”, meaning the island. Its name from the fact that Izola once was an island. This can be seen also from the round shape of the town center, that is still nowadays, surrounded mostly by the sea and later artificially connected to the mainland. Its compact shape and size is a sight for its own. Stroll around the town with a pleasant and relaxing walk along the seaside, where many restaurants and caffes’ can be found. Following the winding streets you can next immerse into the inner side of Izola. Opposite to the seaside, the inner part of Izola is filled with small artisan shops, local bars and a bustling square. We often refer to Izola as a fishermen town, nowadays the only sign of this industry is the ”mandrach” (harbor) filled with fishing boats of different sizes and fishing nets along the pier. If you are in the mood to learn more about the rich industrial past of this town, you can find a lot of interesting information in the Parenzana museum. 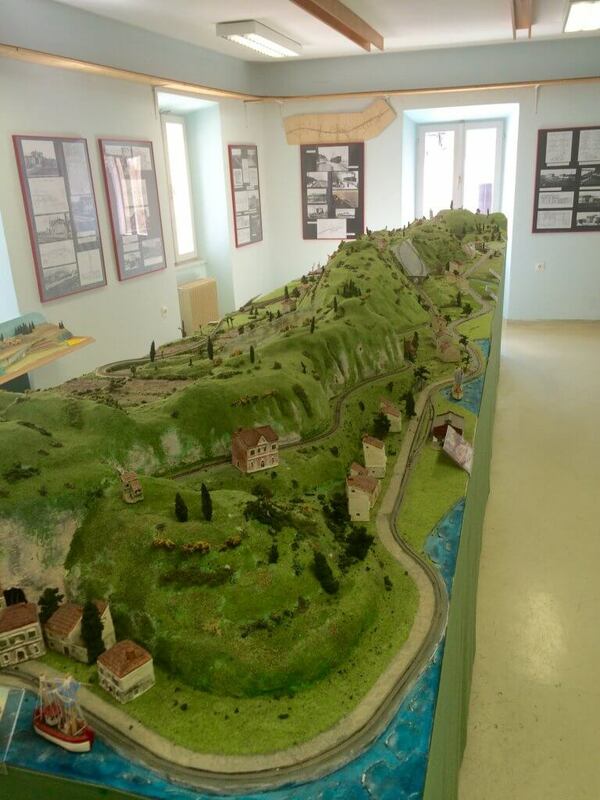 Hidden in the winding streets the museum offers an overlook of the Izola main heritage. Created out of passion for the Izola’s heritage, the museum will make you understand better the soul of the town. The collection includes model boats, that represent the maritime influences and were present in our area. Second stop is the yard, with photographic records of the rich industrial area of the fish industry Delamaris, that employed from 19750 to 1990 around 2000 people. On the upper level you can see the second most productive industry back in those days, the toy factory Mehano. Known for the production of toys in the former Yugoslavia, its main exports were the small electric trains that were exported mostly to North America. The last room is dedicated to the Parenzana train and its railway. With a full size map and a model, representing most of the old train stations, the story behind the train track is presented in its importance for the wider region. Izola inhabitants are also very proud of their sportsmen and the museum hosts a wall of fame, of all major successes in different sports, mostly sailing and rowing. Izola is a small town. But its heritage is far from being modest. We would rather say that Izola keeps being humble and waits to be discovered.